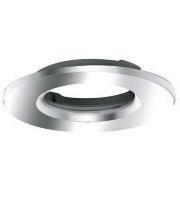 Some lighting products offer multifunctional features to attract all types of buyers, and the Aurora M5 Series of downlights is one of them, these 5w downlights boast some of the best affordable innovation available in the lighting market today and remain popular among businesses and homeowners alike. Whether you need an adjustable or fixed m5 model, all of the downlights provide a fantastic service, delivering a halogen type light beam using energy efficient LEDs. Aurora continue to update their existing selection of m5 series lights, fine tuning new parts and technology to improve your lighting experience. The Aurora M5 Series now welcomes the AU-FRLD model, coming in both 5w and 7w power capabilities, intelligent anti-glare and pin point beam accuracy. The latest Aurora m5 lights deliver 40, 000 hours of light life as well as quick fire installation into 30, 60, 90 fire rated ceilings, making them highly desirable for commercial outfits as well as homes. All of the Aurora M5 lights are built to last and made to perform. These robust downlights not only present a reliable fitting but they’re also stylish and modern, helping them to be applied into any contemporary interior that sees image and aesthetics as important features. The M5 series is one of the most popular ranges of Aurora ceiling lights, their consistency and pin point accuracy makes them a desirable choice for all walks of life. 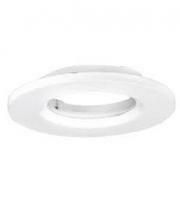 Our broad range of Aurora downlights make it easy for people to select the right model for them. It could be that you will need to alter the lighting’s position so an adjustable downlight will be more to your tastes, whereas fixed M5 downlights will provide a permanent and steady light source. Some of the lights in this range contain further advancements such as anti-glare properties and great controlled dimming. When you go to buy Aurora mSeries lights, whether its the m5 or m7, you are guaranteed to be receiving a top quality light. Not only do Direct Trade Supplies stock the complete mSeries fittings but we also store individual bezels representing various different stylish colours and finishes. This is great if you are redecorating your home and need the finishing touches to coincide and complement the changes you’ve made. So whether it’s a complete mSeries light or you just require a new bezel, come and shop for Aurora Lighting with Direct Trade Supplies today.